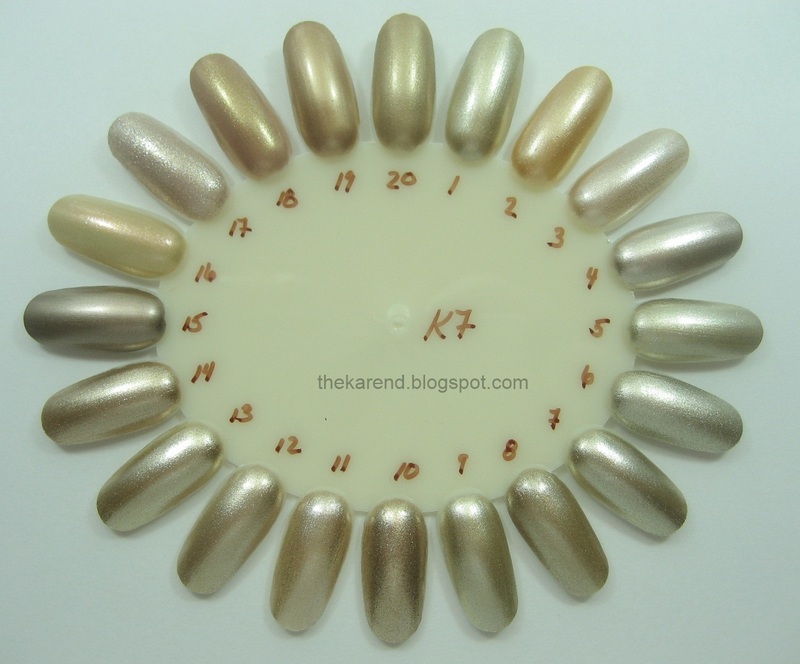 I was planning to start my Top 20 of 2012 today (well, yesterday as I write this but I'm still awake so it's still Thursday for me), but I have been pondering and considering and still have 39 polishes on my list, so obviously I need more thinking time. I am hoping that by the time the long New Year's holiday weekend is over, I'll have narrowed it down. See you in 2013! 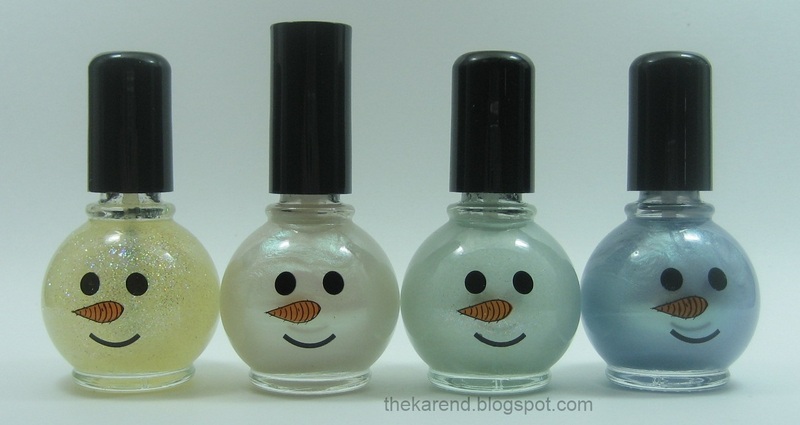 Today for Nail Wheel Wednesday, I've got a bunch of snowmen plus some Halloween polishes that were also in the holiday drawer. Some of the snowmen are from earlier generations, before they got all fancy and put on top hats. I can't see destashing too many of these—I like the bottles too much. To celebrate the holiday, I grabbed my dotting tool and the Julie G Christmas collection and made some trees. Merry Christmas to those of you who are celebrating! Happy Tuesday to everyone else! 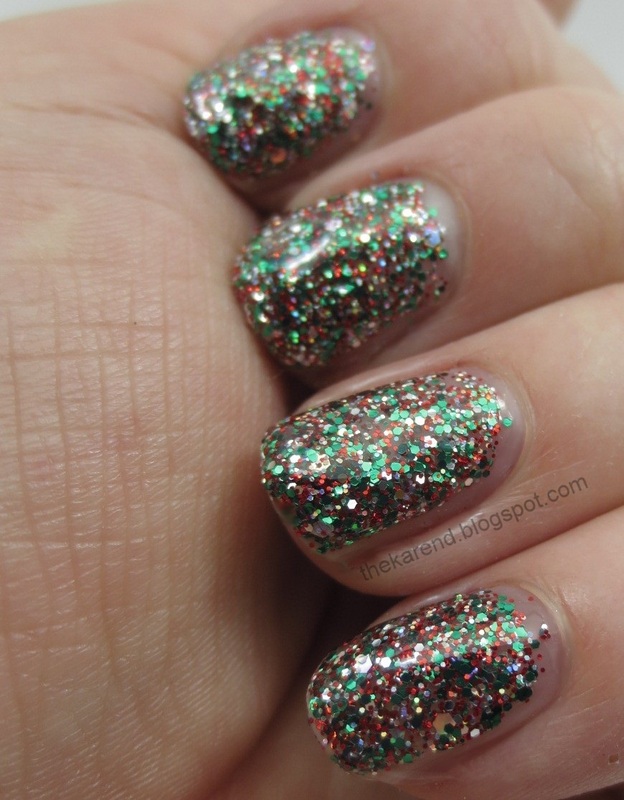 Today seems like the perfect time to post this polish from CrowsToes; it's called Making Christmas and is chock full of red and green and holo glitter. 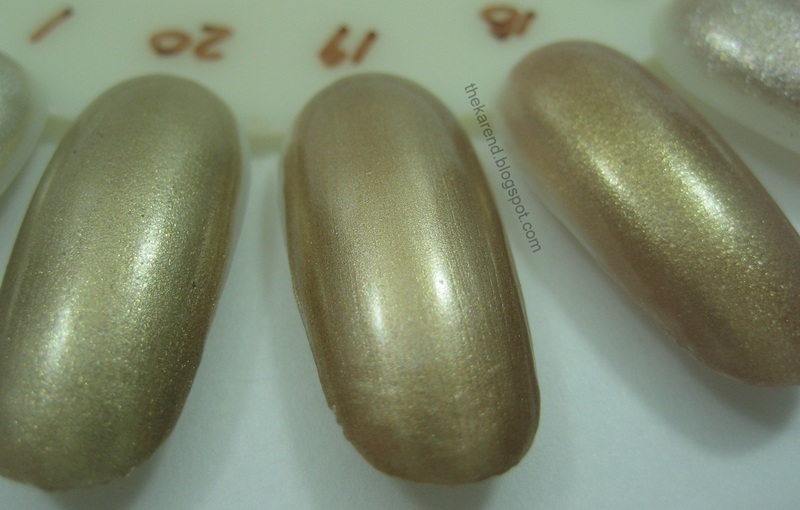 I used three coats plus topcoat for these swatches. 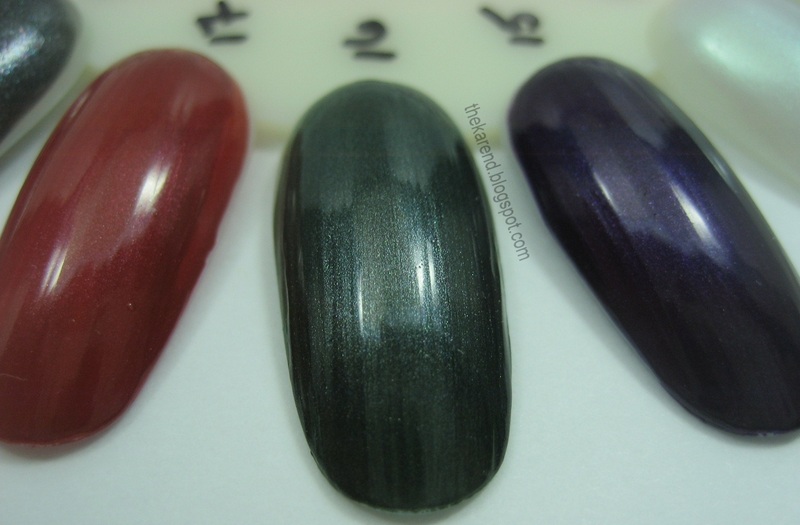 If I'd thought to put a base color on first—dark green or wine perhaps—I could have used one or two coats. As it is, I got serious bling as the glitter piled on glitter. 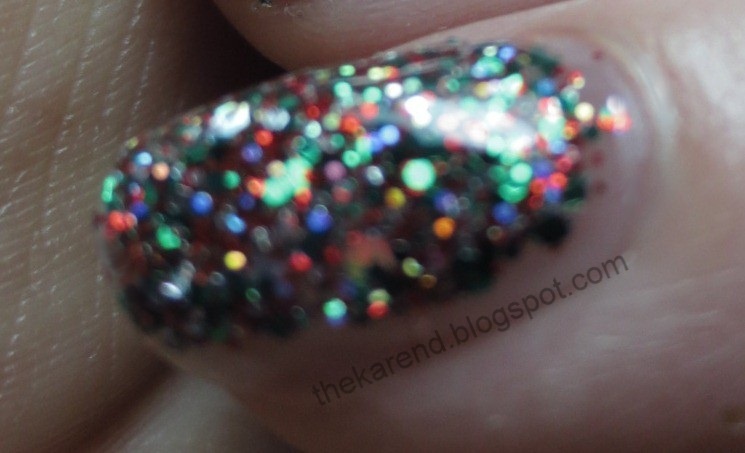 In lower light, the holo glitter goes nuts and sparks off all sorts of colors. 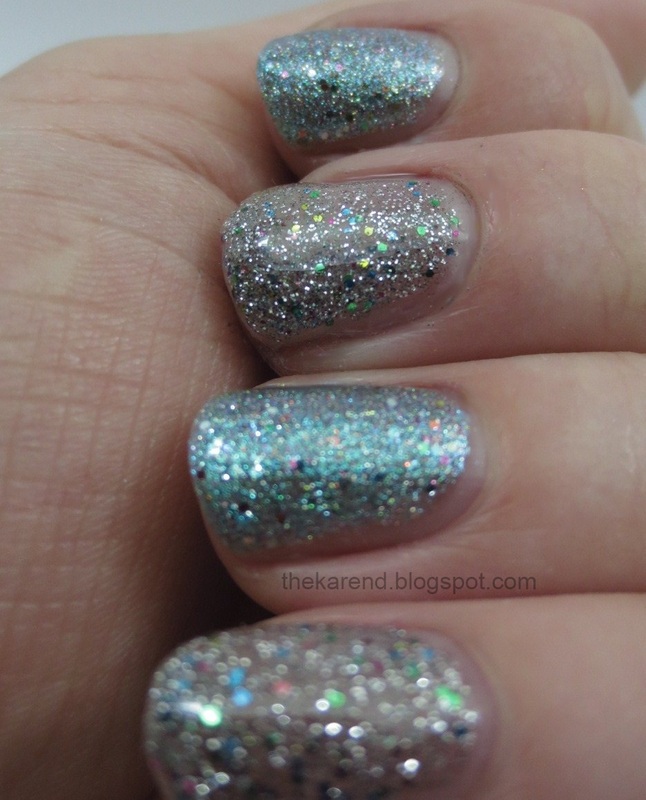 I love super sparkly polishes like this. 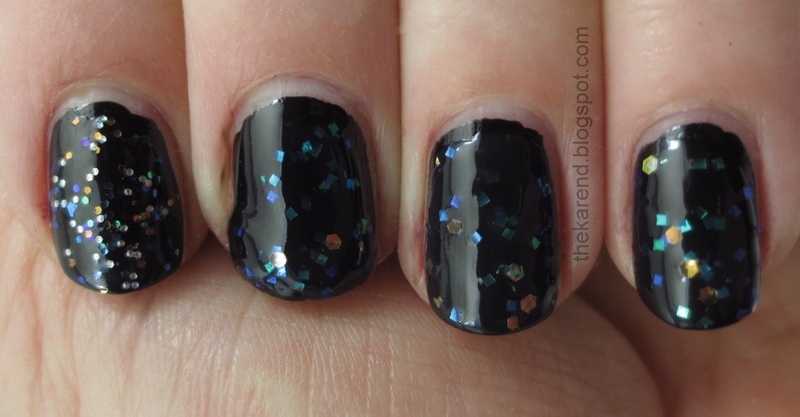 I could definitely see wearing it as a full mani for a party; for work, I'd probably use it as an accent nail. 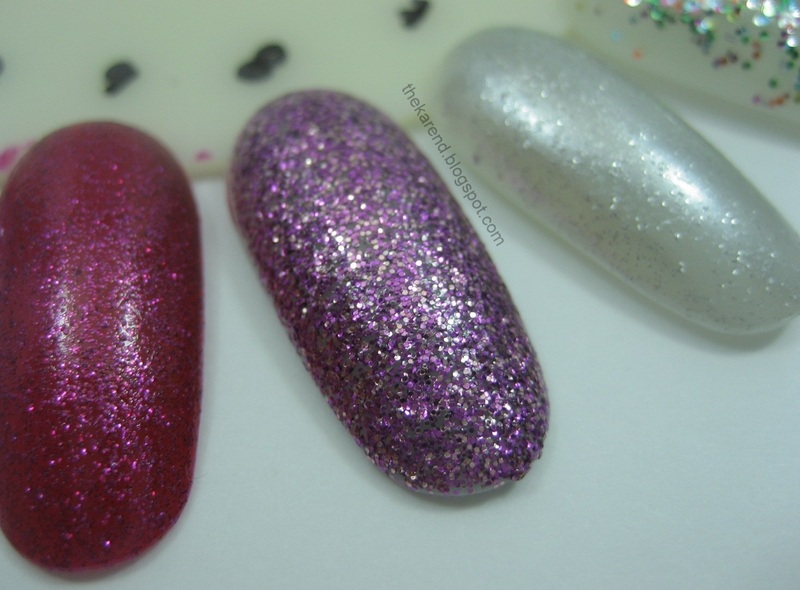 Since I last shared polishes from Happy Hands (the Ready for Fall collection), Kristi has changed her labels and bottles. I like the new look a lot! 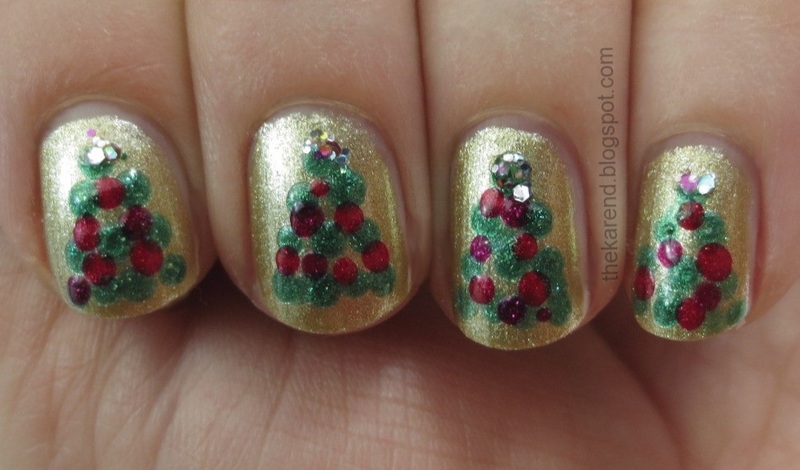 Today I've got one of the colors from the Winter collection: Feliz Navidad. 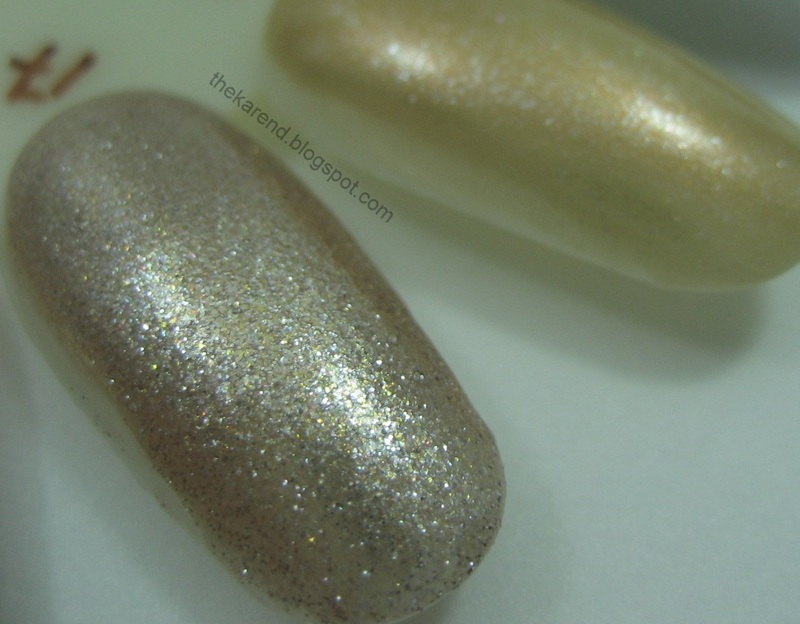 This is a pale pinky peach with pink and gold glitter and shimmer. 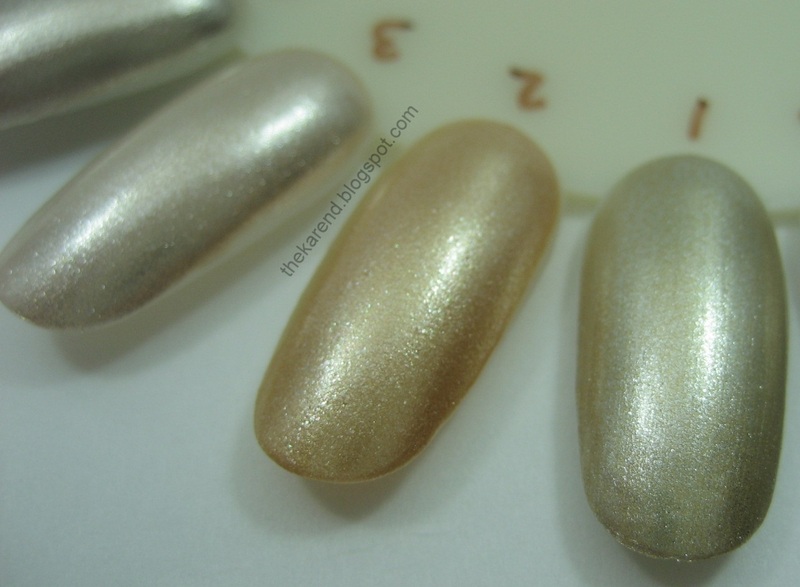 I used three coats plus topcoat for these swatches. Any lumpiness is my fault; at the point I was still trying to nurse along some damaged nails and thought thicker coats of polish would help disguise the patches. 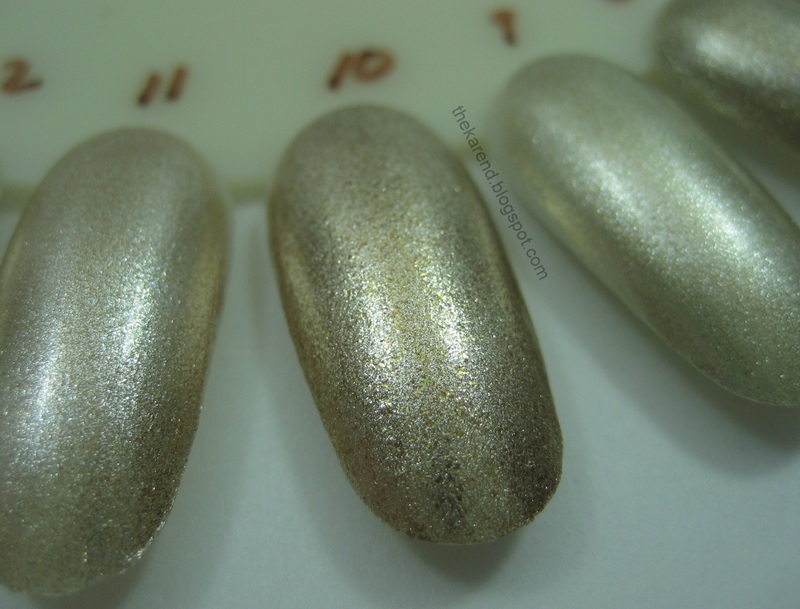 This is a very pretty polish, and against my pale and rosy skintone pretty much qualifies as a neutral, so it can go where bolder glitters might attract too much attention. Also, since it doesn't yell "Christmas", it can be worn year 'round. You probably already guessed that when I was faced with that 60-slot Nabi scented polish display (as shown in Monday's display post), I didn't turn away empty-handed. It wasn't that I like to have perfumed fingertips, it was that I don't have any bottles like that, plus there was glitter. 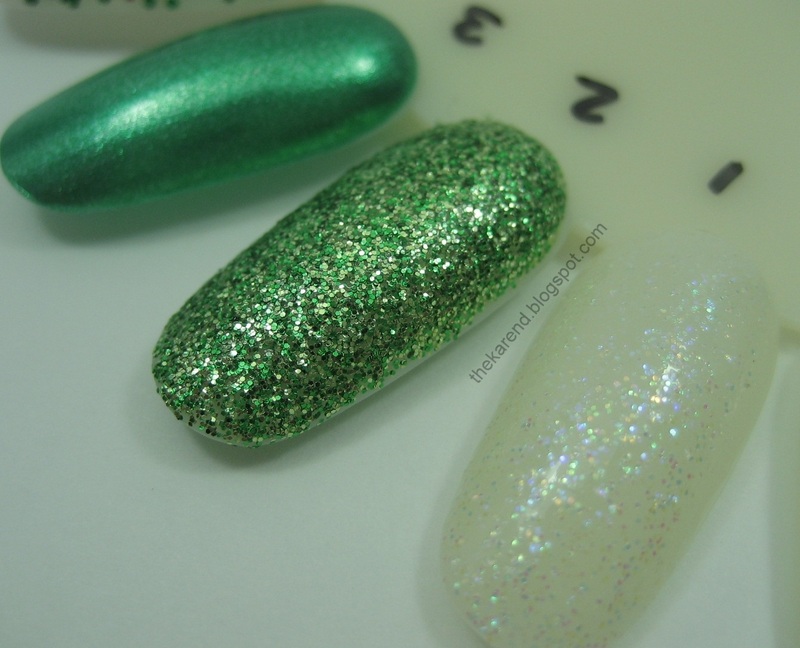 Today I've got swatches of the watermelon-scented Green Glitter. There is green glitter in here, definitely, but there's also blue, yellow, pink, and whole lot of silver in a sheer charcoal grey base. I am definitely going to layer this over an opaque base the next time I use it (or one of its glittery kin that I bought to keep it company in my stash). 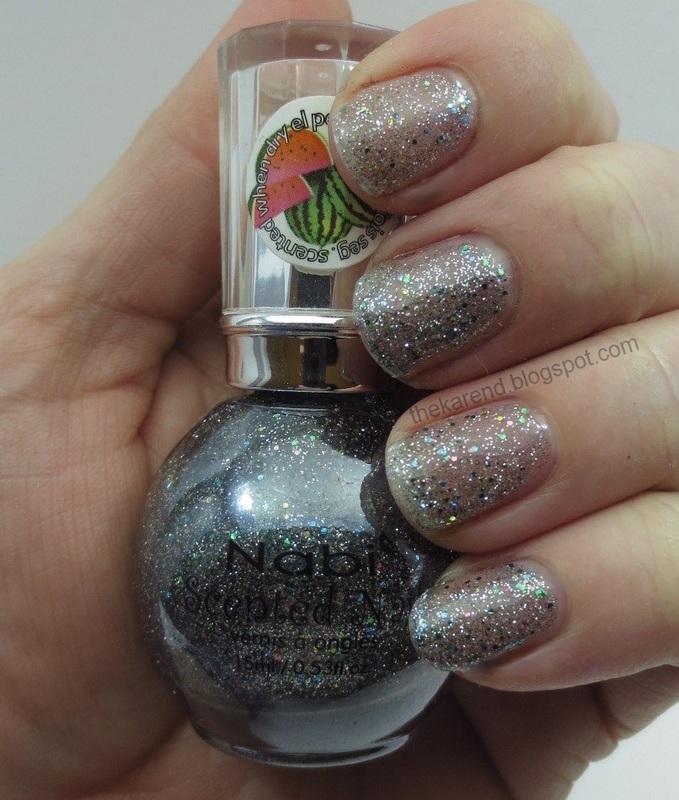 Even though I now knew this Nabi was no match for any of the opaque glitters it had reminded me of, I still pulled out China Glaze Optical Illusion for a quick comparison. See how similar they look in the bottles? I'm not crazy, right? 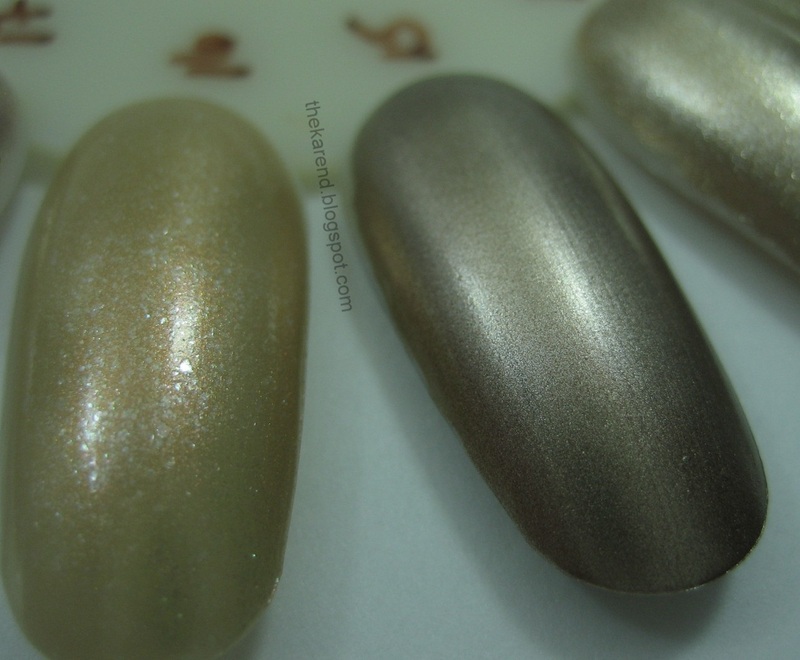 Here they are on the nail, 3 coats plus topcoat in both cases. I don't need to tell you which is which. 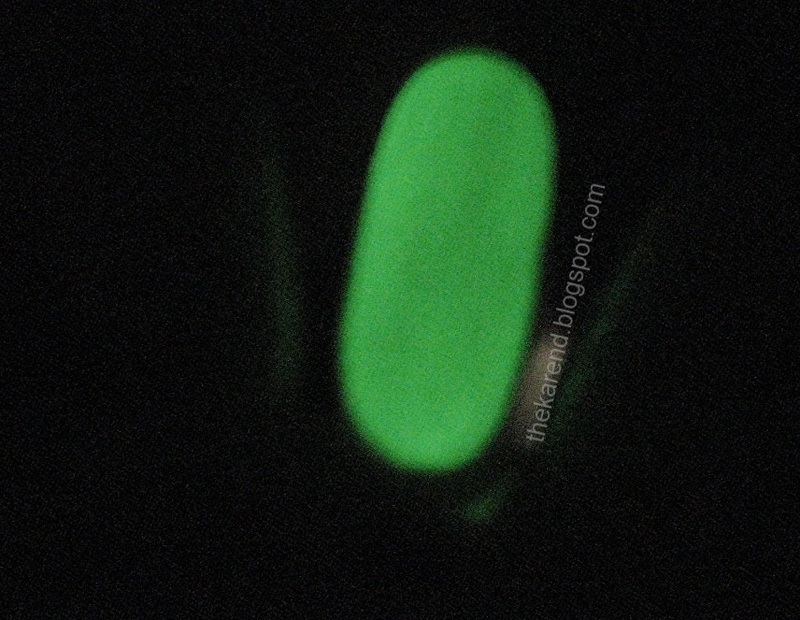 Oh, and as for the scent of the Nabi, it smells very chemical-y going on, so if you get a nose full of that, it's hard to appreciate the more subtle fruity fragrance left when it dries. I'd say buy these for the color/finish if they appeal to you, not for the smell. 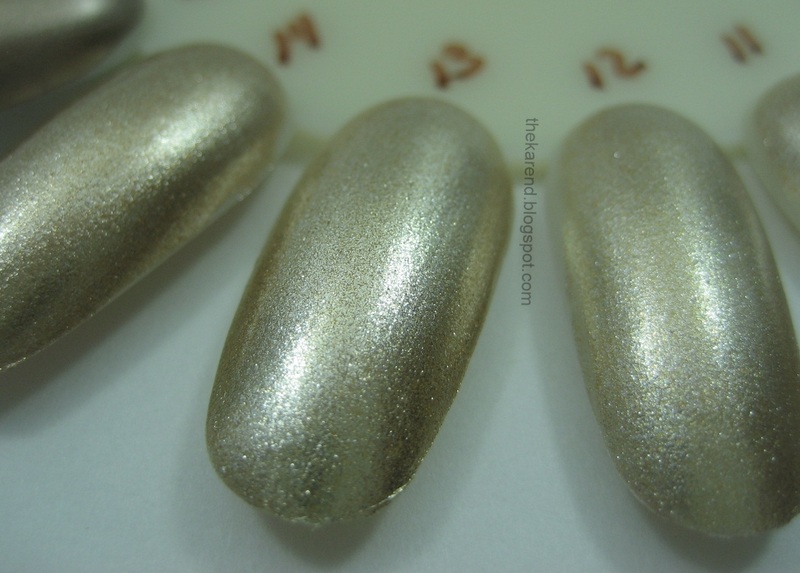 Since gold polishes are popular for the holiday season, that's what I decided to go with for this Nail Wheel Wednesday. 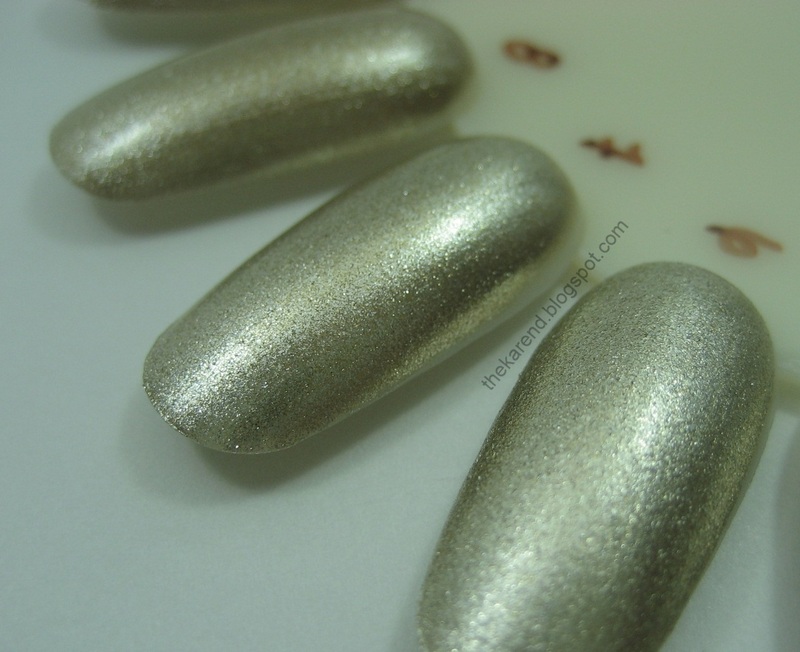 These are mostly foil and metallic finishes (I'm still not entirely sure where the line is between the two—foil has more sparkles but how few sparkles make something fall into the metallic category is unclear to me). This wheel reflects my preference for cooler toned golds; there some warmer, yellower ones here, but they're the minority. There's plenty of destashing opportunities on this one. The definite keepers are 6, 10, 15, 16, and 17. Of the others, one representative of each broad category should be enough; let's say 3, 12, and 20. Just as soon as I hire my destashing assistant, I'll get her right on that. 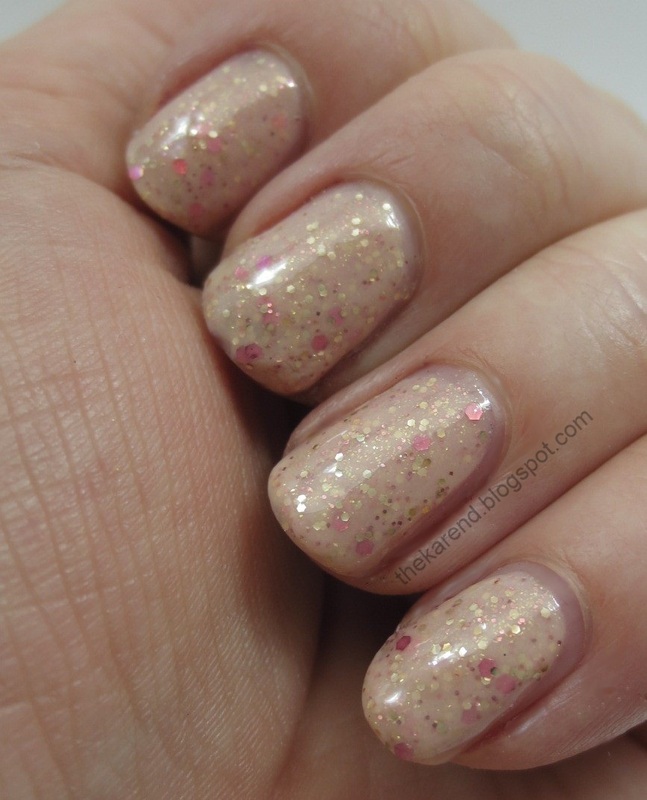 Heavenly is one of the polishes I bought when I saw the Revlon Bubble Gum Days / Urban Nights display. 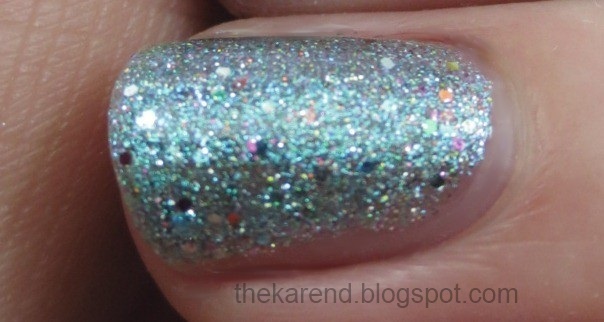 Of course I grabbed it; it's a glitter, with iridescent squares and hexes in an ever so slightly milky transparent base. 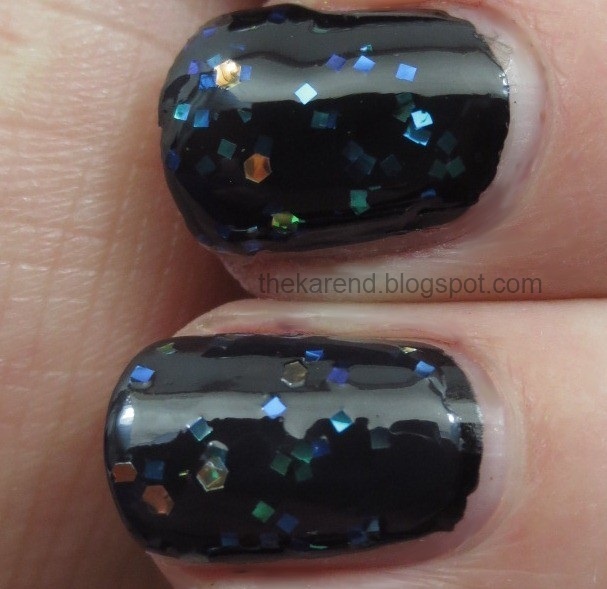 I suppose I could have tried this on its own, but I could hear it saying "layer me", so put grabbed my go to black base (Wet 'n' Wild Wild Shine Black Creme). 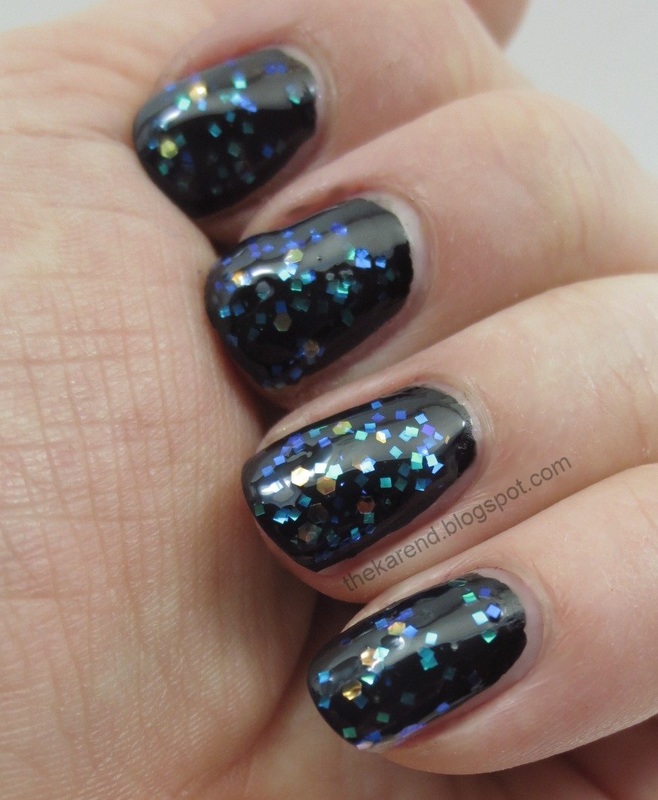 Swatches are two coats of Heavenly over black, no topcoat. 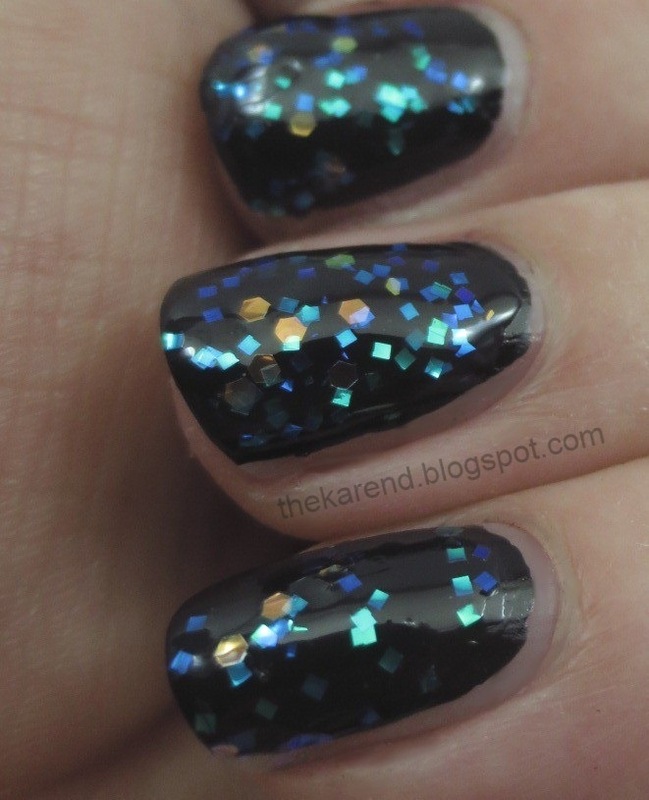 I loved the jewel tones that the glitter took on over the dark base, and also liked the way new colors showed up where the glitter pieces overlapped since the glitter isn't opaque. 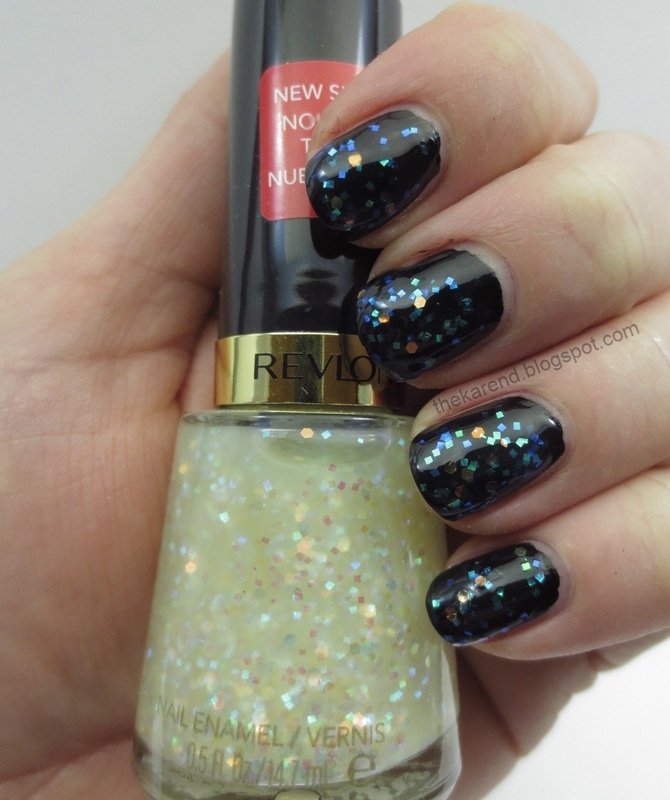 It seems pretty clear that Heavenly is following in the footsteps of other recent Revlon glitters aimed at duping Deborah Lippmann polishes. This time the target is Stairway to Heaven, so I pulled that out to do a comparison. 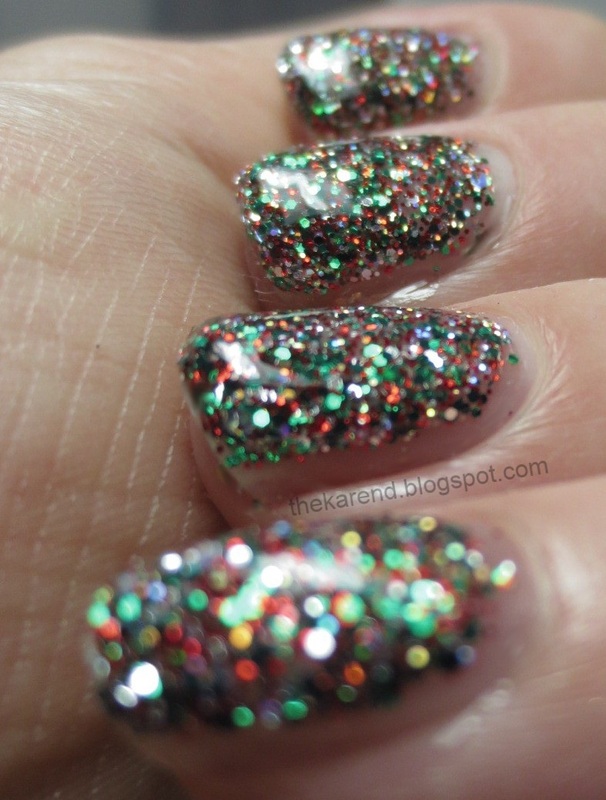 While I was at it, I grabbed China Glaze Snow Globe, another iridescent translucent glitter mix. 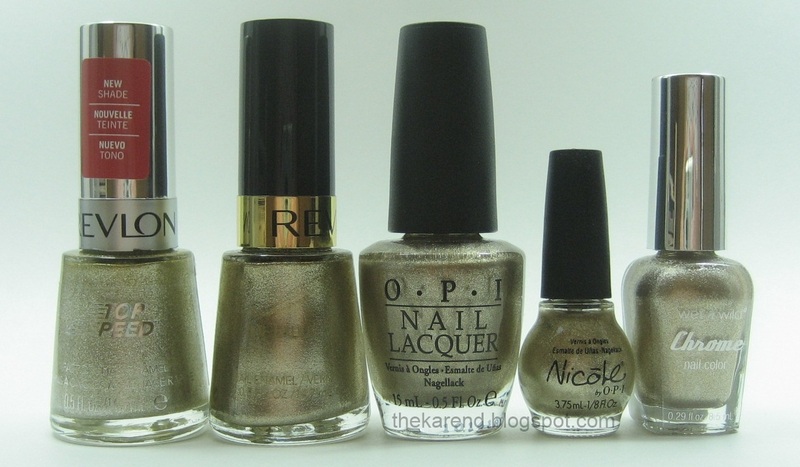 Left to right below (all over black): Snow Globe (1 coat), Heavenly (2), Stairway to Heaven (2), Heavenly (2). Snow Globe is the odd polish out here due to the size, density, and uniform shape of its glitters; it also seems to throw off a greater range of colors. Heavenly and Stairway to Heaven are prety much indistinguishable. 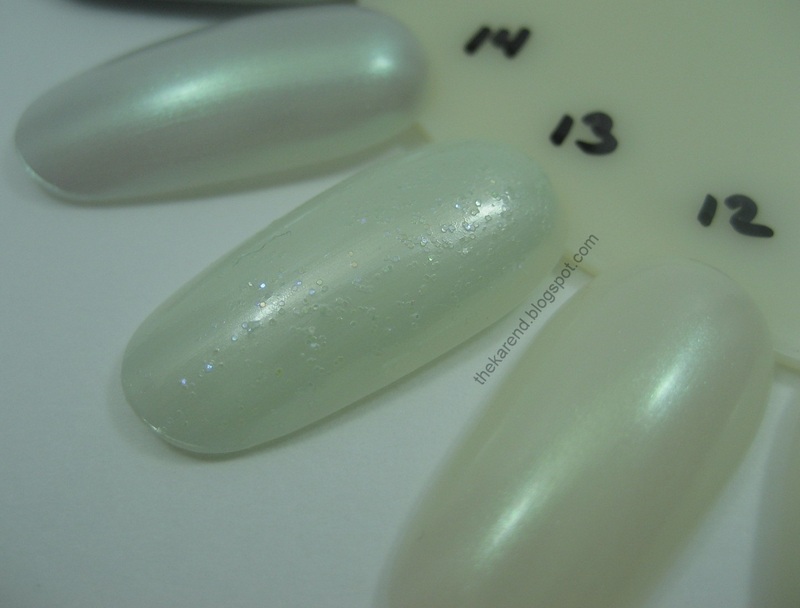 I realized too late that I should have put Sally Hansen Complete Salon Manicure Snow Globe in this comparison, but it's so new to my stash it's not even on my spreadsheet yet, much less sorted into the right place in my swatching boxes. Looking at the bottle shot I did when I found the display, the glitter seems similarly colored but it's not a dupe for either ChG Snow Globe or the two Heavens. On the Revlon dupes Lippmann front, I appreciate that the drugstore version of these polishes let more people enjoy the look—I'm guessing there's not a huge overlap between Revlon's target market and Lippmann's, so I don't think Revlon is taking business away from DL (I am in the overlap, and I bought both).